Named after a character from the past/weird hick high school in Northwest PA, this hoppy IPA is pretty awesome and probably would taste delicious accompanied by a hot dog. It's light bodied enough where I could probably down about 8 during a hockey game that ends in regulation without a one-way ticket to Vomitville, USA. 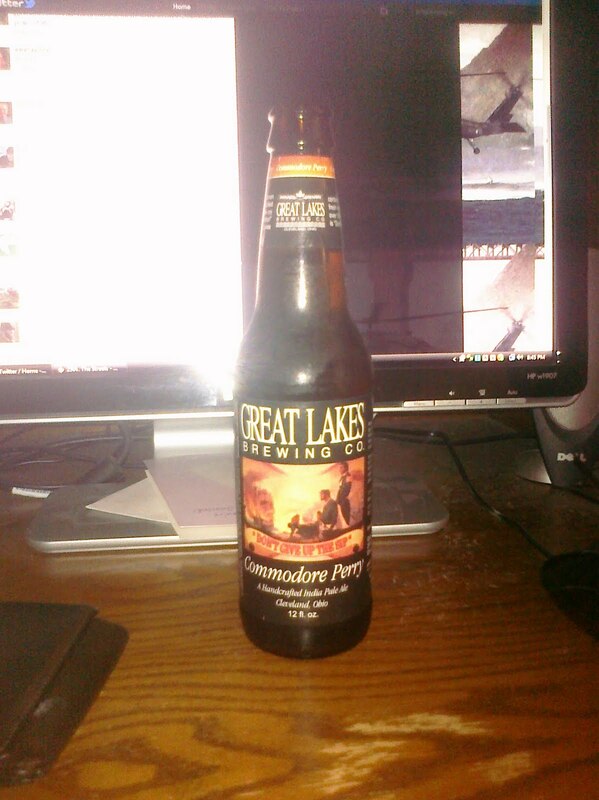 I found this in the back of my dad's fridge, so I can't really vouch for price, but I vaguely remember buying a 6er of Great Lakes Burning River for about 8.99. At 7.5% ABV, it's got some bang for your buck and doesn't taste like a dirty diaper. Bonus feature: It has a pretty wicked picture of the War of 1812 on the label. Super big caveat: It comes from Cleveland. That place was so dirty the water caught on fire, y'all.